Restoration experts Byzantian Developments have this week submitted a proposal to transform the fire ravaged 17th century Leslie House structure into apartments. 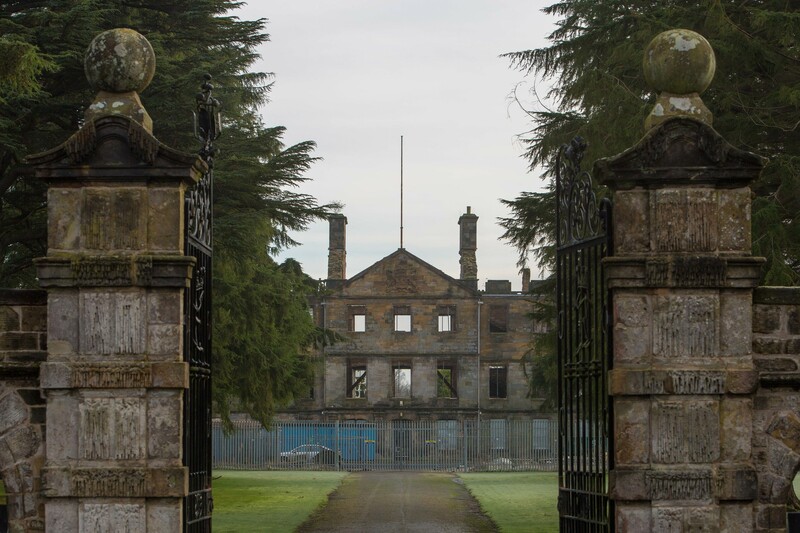 It follows years of campaigning by Friends of Leslie House to see Fife’s largest and earliest example of a Restoration mansion preserved for future generations. Mary Patrick from the Friends group, who recently met with Steven Turnbull of Byzantian, said: “I was told the planning application would be going in this week. “It is now up to the public to comment and we’ll see where that takes us. Ms Patrick said that, having viewed the plans, the design was “very sympathetic”. She added that should the plans be approved the group would be dissolved. “The group will have served its purpose,” she said. The group had at one point been prepared to buy the mansion from previous owners Sundial Properties and raise funds to restore it. However, having been ravaged by fire in 2009, the estimated cost of bringing it back into use was £5 million. Last year, Byzantian announced they had entered into an agreement with Sundial to buy Leslie House. Byzantian are currently working on the redevelopment of Pilmuir Works in Dunfermline, in a project which will see the former Duracord factory, which closed in 2005, turned into a flats complex with commercial space. The fresh planning application could bring to an end years of uncertainty over the future of Leslie House which was once home to Noël, Countess of Rothes, who helped survivors of the Titanic disaster by taking the helm of a lifeboat. There was controversy when Muir Homes, which has planning permission to build 28 new homes in the grounds, appealed against a Fife Council ruling preventing them from completing the development without restoring the landmark building. Members of Fife Council’s central planning committee rejected the request in June last year, against their own planning officers’ advice. But a Scottish Government reporter backed the decision made by councillors. The reporter also threw out a separate bid by Muir to see the council pay damages amid claims councillors had acted in an “unreasonable manner”.